Our team – MURATBEKOV LAW FIRM, P.A. Manas Muratbekov, Esq. is a founder and the leading immigration attorney for MURATBEKOV LAW FIRM, P.A. He represents clients nationwide in all areas of immigration law. Mr. Muratbekov is admitted to the New York Bar and his practice in Florida is limited to U.S. Immigration Law. Mr. Muratbekov was born and raised in Bishkek, Kyrgyz Republic. In 2004, after graduating with Bachelor’s Degree in Jurisprudence and Master of Laws in Criminal Justice from Kyrgyz National University named after Jusup Balasagyn. Mr. Muratbekov was admitted to LL.M. Program in Intercultural Human Rights at St. Thomas University School of Law, where he explored his passion about U.S. Immigration Law. 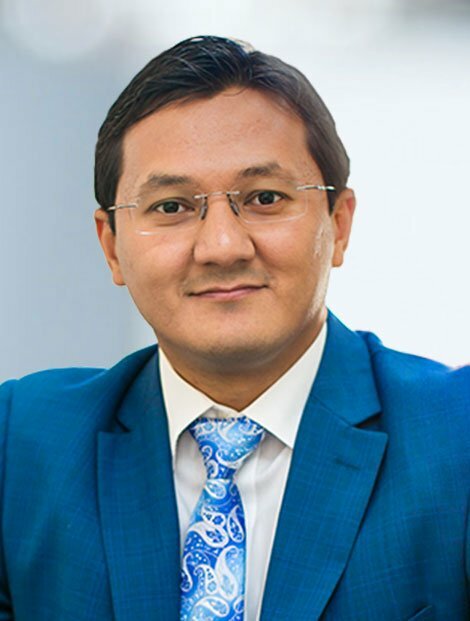 After 10 years of experience in variety of law firms where Mr. Muratbekov earned practical knowledge in U.S. Immigration Law, he established MURATBEKOV LAW FIRM, P.A. United States of America is a unique country where every human being with passion and determination can achieve his own American Dream and MURATBEKOV LAW FIRM, P.A. can help you with that. Amir Hagoo, Esq. is of counsel of MURATBEKOV LAW FIRM, P.A. and licensed attorney in State of Florida. His primary concentration is criminal defense where immigrants allegedly violate the laws. Additionally, Mr. Hagoo is licensed attorney in Canada. Mr. Hagoo was born and raised in Toronto, Ontario, Canada. In 2004, after graduating with an Honors Degree, in political science from York University, he was admitted to St. Thomas University Law School in Miami. When Mr. Hagoo graduated in 2007, he became a Member of the Florida Bar the same year, and entered the legal profession. 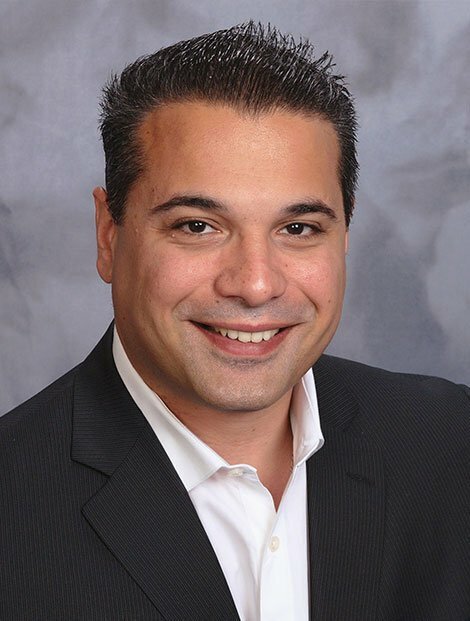 As an attorney Mr. Hagoo’s passion for practicing in the areas of criminal defense and immigration law landed him a position with the Broward County Public Defender’s Office from 2008 thru 2012. From day one, Mr. Hagoo began to hone his motion practice and trial skills as a criminal defense lawyer at the Public Defender’s Office. Mr. Hagoo handled over a thousand misdemeanors, juvenile, and felony cases from the investigative stage all the way through to trial by judge or trial by jury. He has taken well over 50 trials to verdict, argued many pre-trial evidentiary motions, defended post-conviction matters, including violations of probation and motions to vacate, and got involved in many cases at the “pre-file,” or case-filing stage. Mr. Hagoo has been successful in achieving positive results for his clients in many of his cases. After his time at the Public Defender’s Office, Mr. Hagoo entered private practice with the intent of providing premium legal services in criminal defense and immigration law. Being an immigrant himself, Mr. Hagoo has first-hand experience in navigating through the complex and daunting American immigration system. Добрый день! Очень хочется поделиться своим опытом о работе офиса Манаса Муратбекова и лично о нем. Изначально, обратившись год назад к Манасу за помощью в решение иммиграционных вопросов нас вполне устроила цена и тот список услуг, который адвакат гарантировал выполнить. При этом, общаясь с ним на консультации перед тем, как заключить договор, я не стесняясь задавала очень много вопросов и на все получала развёрнутые полноценные ответы, что помогло мне понять, что передо мной человек, которые разбирается в своём деле. После подписания договора на подачу документов, у нас были очень сжатые сроки, а именно 3 ДНЯ! За 3 ДНЯ Манас подготовил кейс, состоящий примерно из 1000 страниц и отправил его, ни сделав при этом ни одной ошибки! Спустя год, после подачи документов наши иммиграционные вопросы были успешно решены! Если Вы ищите профиссионала в своём деле, то это действительно он! Manas is truly wonderful. Compassionate; understanding and skilled. Gives great advice, and takes away the edge of what could be a very stressful process. He brings a "human" element that most people forget when running a very busy established business. I'd recommend him to anyone. Manas is an amazing guy, an extremely great professional! Defenetly recommend him! He is the best! Manas has been an exceptional attorney walking me through the immigration process. I consider myself very lucky to have found him as I feel he truly cares about me as a client but also as a person which can be hard to find in Miami. He understands the American Dream. Thank you Manas. Excellent attorney with incredible character. Extremely knowledgeable in immigration law. I highly recommend! I had the amazing privileged of working with Manas for 2 years. Hi is on of those Lawyers that works non stop for his clients. This is the kind of Lawyer you want on you side, one that is going to give you 100% of his time, knowledge and experience. We'd like to thank office of Muratbekov Law, P.A. for outstanding service and professional help we received. It was very important for our family to have all our legal needs assessed amd taken care of. By far the only place where i felt comfortable asking as many questions as i needed and calling my attorney. Their follow up procedures and timeliness is top notch. Highly recommend.